Once again I am honored to announce that I was chosen for inclusion in Early American Life’s Directory of Traditional American Craftsman. The August 2015 issue of EAL, which includes the directory, has just been mailed to subscribers and should also be out on newsstands soon. This is the 32nd time I’ve been in the directory, many years in more than one category, and each and every time has been just as thrilling as the first! It gives me such a warm feeling to know that the highly knowledgeable jurors, made up of museum professionals and other experts, have closely examined my work and named me as one of the top craftsmen working in my field(s). Young Miss Isane traveled to Delaware earlier this spring to take part in the EAL directory photo shoot at Winterthur Museum. 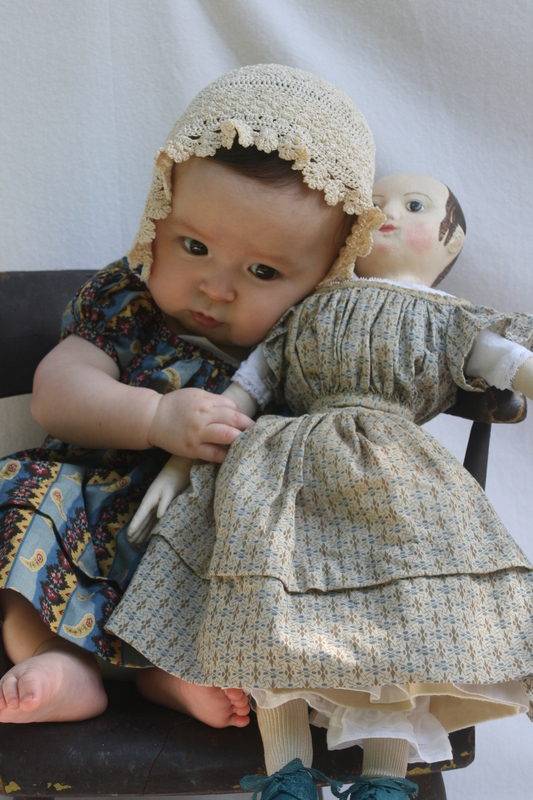 She had a wonderful time posing and exploring Winterthur. 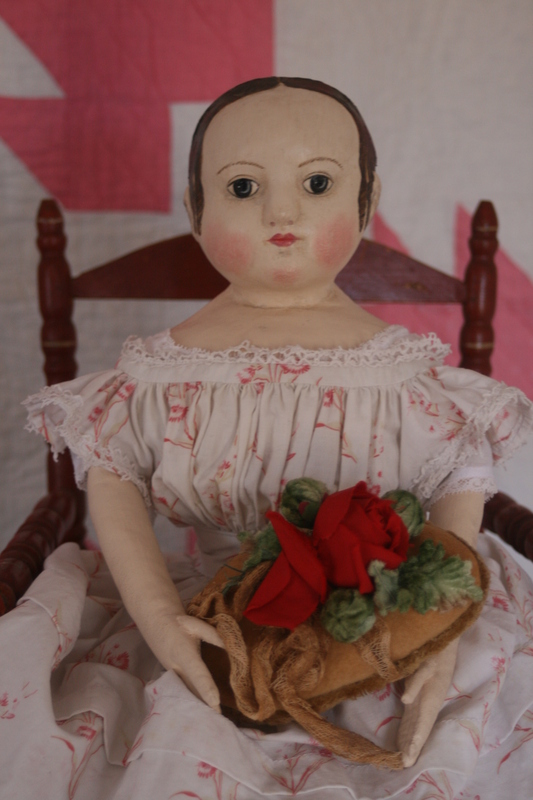 Now that she has returned safe and sound, she is looking for a new home to call her own. 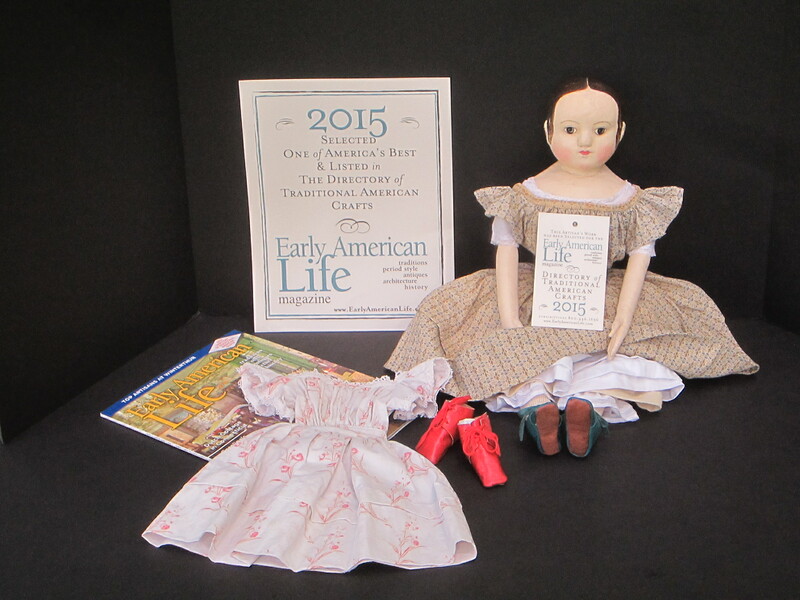 6/22/15 UPDATE SHE IS NOW SOLD Isane is 18 inches tall and is one of my all cloth, reproduction Izannah Walker dolls. She has two painted ringlets in front of each ear and a row of five more along the nape of her neck. Isane has bare feet, with stockings sized down from antique socks, and two pairs of hand made leather shoes – one to match each of her dresses. She is wearing a chemise, pantalettes trimmed with pintucked ruffles, a cotton petticoat and an embroidered woolen petticoat. 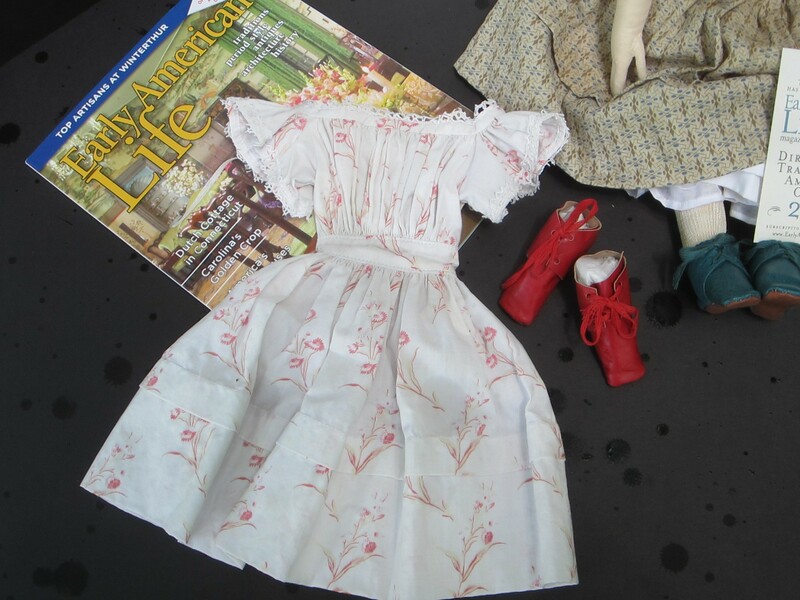 Her floral printed white dress is modeled after the dress worn by the Izannah Walker doll owned by the Worthington, Ohio Historical Society. 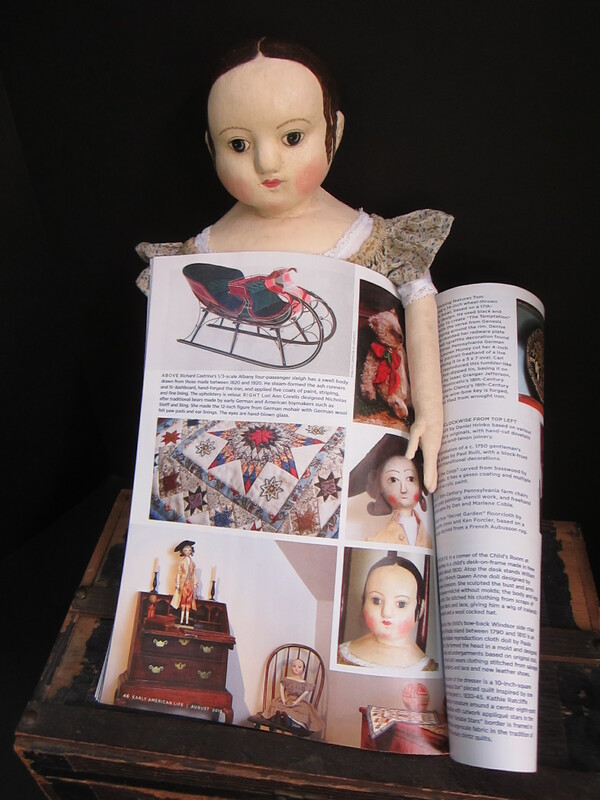 I am excessively fond of that doll and she was my inspiration for this Isane. 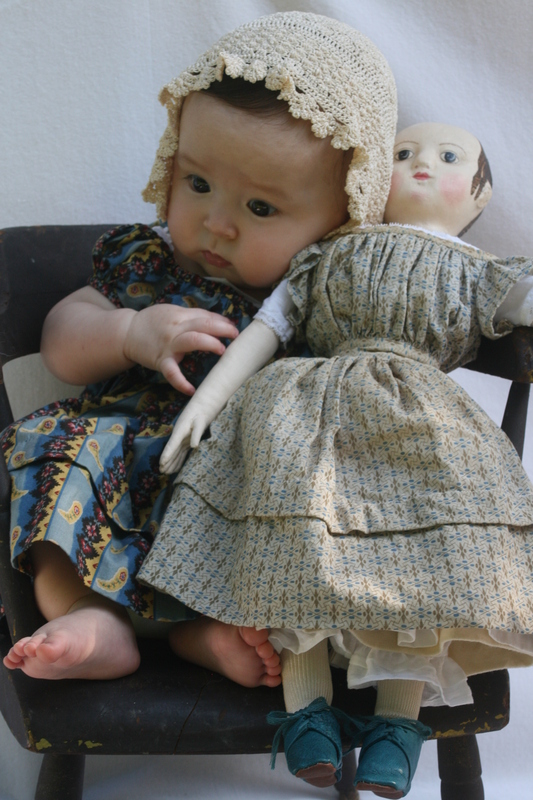 This doll has been sold – thank you so much for coming to look at her. If you have any questions about Isane, or would like to purchase her please email me anytime at paula@asweetremembrance.com or call me at 860-355-5709 during east coast business hours. This is Isane before she left for her spring break. 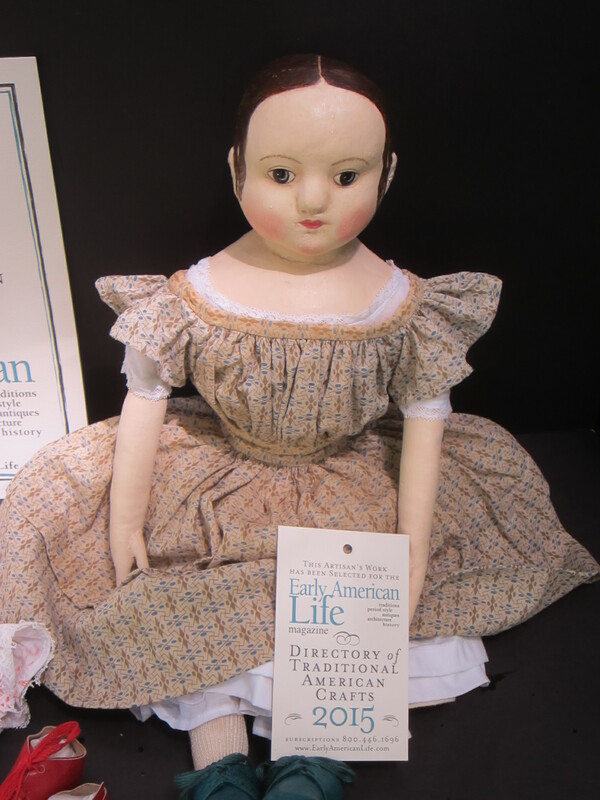 She went to Delaware to visit Winterthur Museum and take part in the Early American Life 2015 Directory photo shoot. Playing is such hard work. 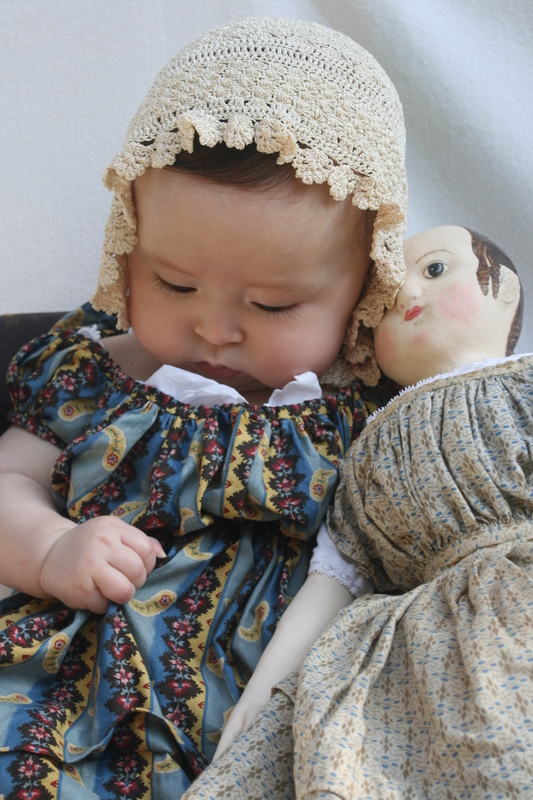 It is time for babies and dolls to take a nap! You may see more photos of Isane by clicking on this link. Wishing you all a happy Father’s Day! Next Post Happy July 4th!!! Paula, I think a little sweetheart has wrapped her heart around Isane. The pictures are so sweet. 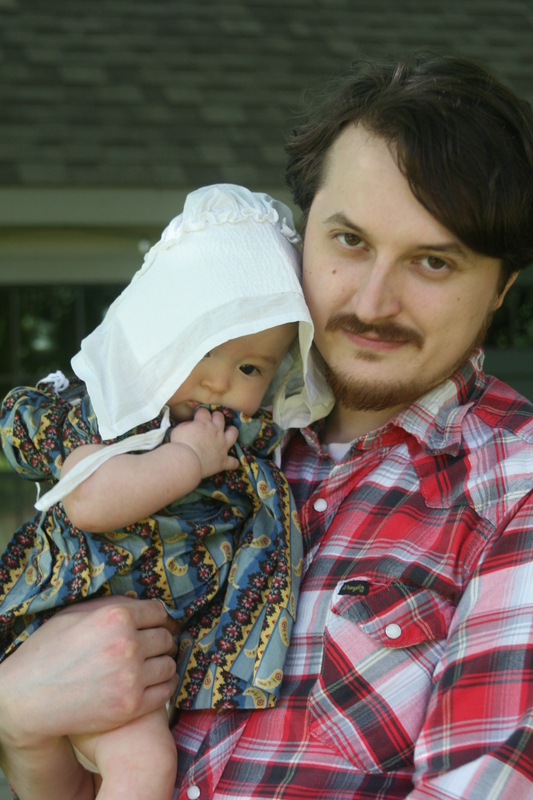 The baby is beautiful. 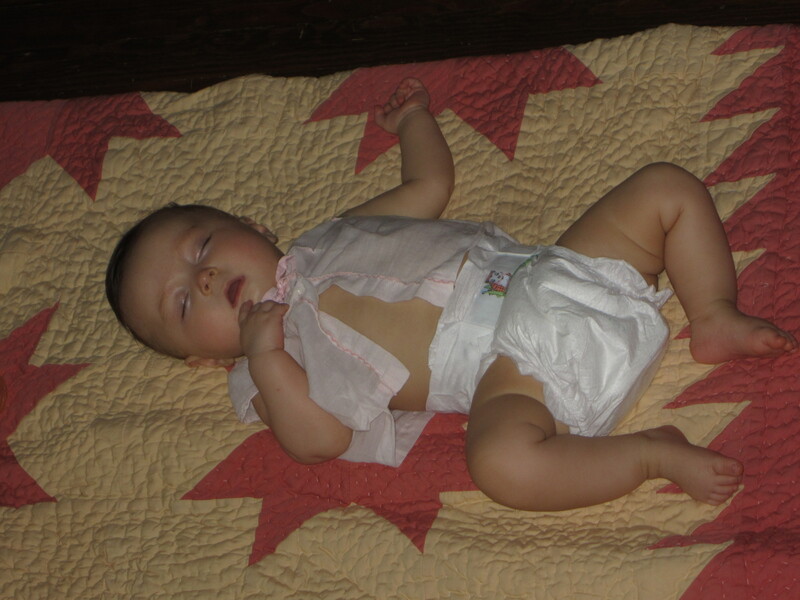 As you can probably tell she has just learned to sit up. She’s still a little wobbly 🙂 Definitely time to get out my acrylic paints and make her a baby proof Izzy!